PIONEER Computers Australia have unveiled the DreamVision NetTop PC MD 1 (3 Litre). Powered by Intel Atom 1.6G processors N270, the DreamVision NetTop PC MD 1 is small, compact and energy efficient. With dimensions of 270mm (H) 200mm (D) 60mm (W), 3-Litre and standing upright, this takes minimal space. In the front, it features 2 x USB 2.0 High-speed ports, 1 x MIC/ 1 x headphone and 1 x card reader - SD/ MMC/ MS/ MS PRO (Optional). At the back, it has a 1 x D-Sub VGA, 1 x RJ45 (10/ 100/ 1000 Mbits), 1 x COM, 6 channels HD audio, 4 x USB 2.0 High-speed ports and 2 x PS/2 ports to support the keyboard and mouse. DreamVision NetTop PC MD1 supports WLAN: 802.11alb/g, Windows 2000, Windows XP and is also Windows Vista Basic ready. 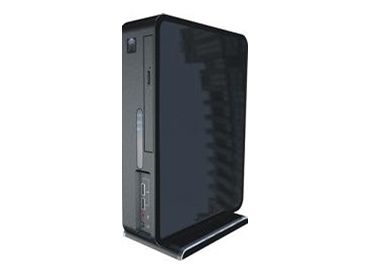 The low cost and compact PC is good for surfing the net and basic everyday use. Packaged in a gift box, DreamVision NetTop PC MD1 is available from PIONEER Computers Australia on a build to order basis.